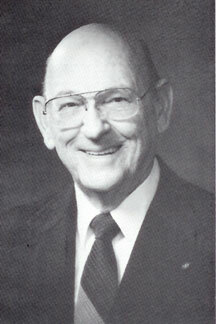 John E. Jack Kelly, age 85 past Grand Master of Texas Masonry, died May 13, 2007. He is survived by his wife of 63 years, Helen; son-in-law, Dr. Wayne Mundahl; grandson, Michael Mundahl and his wife, Judy; and by a host of his Masonic brethren and friends from Texas and throughout the United States. John E. Kelly was born in Florida, his parents moved to Ohio in 1937, and moved to Texas in 1940. He served 32 years as an Air Force Civilian at Kelly Air Force Base, retiring as Deputy for Material Services in 1973, with detours in the Navy in WWII and Korea. He served as Master of Blue Bonnet Masonic Lodge in 1959 and 1960, and was District Deputy Grand Master in 1962 under Grand Master R.L. Dillard, Jr. of Dallas. In the same year, he was appointed to the State-level Committee on Masonic Education and Service, where he served for a total of 12 years, and as Chairman for 9 years. In 1963, Grand Master Jim Weatherby of Kerrville appointed him founding Editor of the TEXAS FREEMASON magazine, and he served as Managing Editor for 5 years. In 1989, he was again asked to reorganize the magazine, and served as Editorial Director until February 1992. During the same period, he served three years as the Chairman of the Committee on Public Relations. 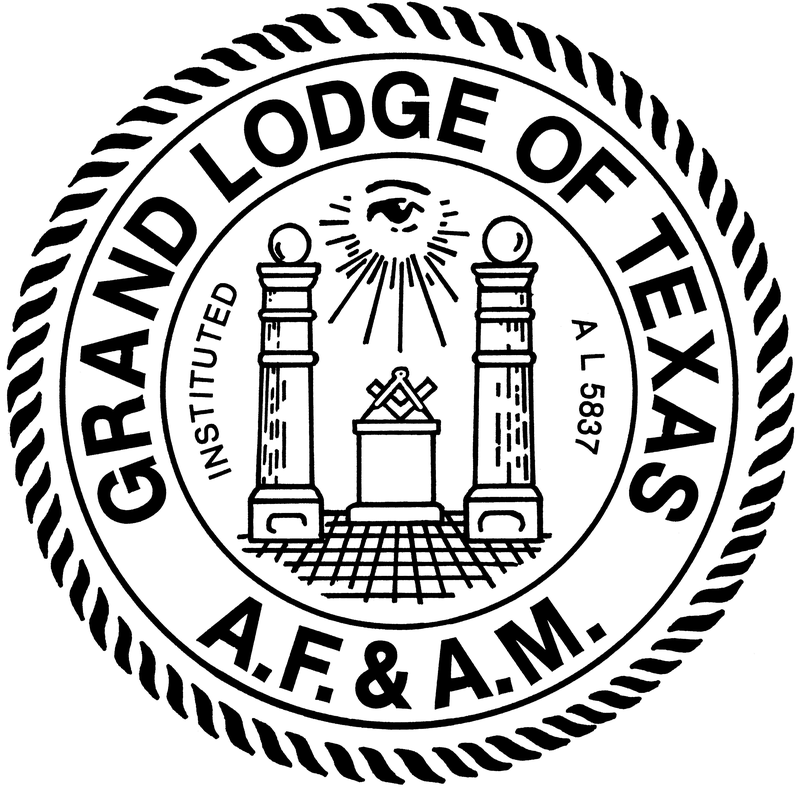 Other Grand Lodge assignments included service as State Conference Coordinator for 4 years, as Grand Orator and the Grand Tiler. He also wrote, narrated and produced two movies for the Grand Lodge, “This is Freemasonry”, and “Glimpses of our Texas Masonic Heritage”, in 1979 and 1983. He was elected Grand Junior Warden in December 1983, and served as Sesquicentennial Grand Master in 1987. He served as Vice Chairman of the Conference of Grand Masters of North America in 1987, and delivered the Keynote Address at the 1993 Conference of Grand Masters of North America. He served on the Executive Committee of the Masonic Renewal Committee of North America, under the Conference of Grand Masters, for three years. Over the years, he became nationally known as a leader in the field of Masonic education and administration, and presented papers in numerous conferences, from Washington D.C. to Washington State. He was a Past Master and Fellow in Masonic Research of Texas Lodge of Research, and in 1976 wrote and published a book, “Behold, How Good”. He was elected a Fellow of the International Philalethes Society in 1998. A member of all York Rite Bodies, he held the Purple Cross of York. He served as President of Fort Sam Houston Chapter, National Sojourners, in 1995-96. He was a member of the Grotto; Knight Masons; Royal Order of Scotland; Grand College of Rites; and served as President of San Antonio Chapter, High Twelve International. He was coroneted a 33rd Degree in Scottish Rite, and was both an endowed member of the Million Dollar Club. 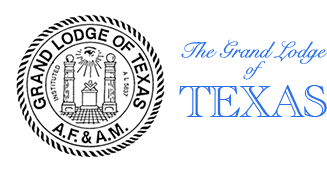 After retirement from Civil Service served as General Secretary of the San Antonio Bodies for 9 years, and upon retirement was appointed Personal Representative of the Sovereign Grand Inspector General of the South Texas area. He served on the Executive Committee of the famous Texas Scottish Rite Children’s Hospital in Dallas from 1992 to November 2002. He was Charter Sovereign Master of San Antonio Council, Allied Masonic Degrees, 1990-91; Secretary of the Texas College of Masonic Rosicrucians, 1982-2003; and Sovereign of St. Anthony Conclave, Red Cross of Constantine. In the Order of DeMoly for Boys, he held its highest honors, the Honorary Legion of Honor and the Cross of Honor. He was twice Patron on his Eastern Star Chapter and was a Deputy Chief of Staff and an Ambassador of Alzafar Shrine Temple. He was an endowed member of C.W. Anderson Masonic Lodge, Blue Bonnet Lodge, and Claud Austin Daylight Lodge, Dallas; and a charter member of St. Alban’s Lodge of College Station. In 2005, after a lifetime of service, he was awarded the Grand Cross, the highest award on the Scottish Rite of the Southern Jurisdiction. In the community he served on the Bexar Metro Board of Directors of the Cancer Society, with the American Heart Association, and Optimist International. He served two years as State Executive Secretary of the Air Force Association. More recently, he served as President of Ralph Kaye Chapter, United Ostomy Association, affiliated with the American Cancer Society, and was elected to a second term in October, 1997. Memorial services were held on Saturday, May 19, 2007 at Woodland Baptist Church, Reverend Jud Edwards, officiating. 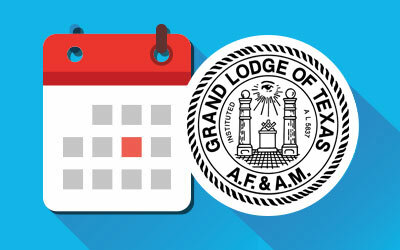 A Masonic Memorial service followed, conducted by Leonard P. Harvey, Past Grand Master, of Dallas, and statewide leaders of the Masonic Grand Lodge of Texas. Honorary pallbearers were Past Grand Masters and Past Masters of Blue Bonnet Masonic Lodge. The body was cremated and entombed in Sunset Mausoleum II. The family requests that, in lieu of flowers, contributions be made to the Scottish Rite Learning Center for dyslexic children, P.O. Box 2239, San Antonio, TX 78298 or Woodland Baptist Church, 15315 Huebner, San Antonio, TX 78248.